Fibromyalgia is a complex, chronic (long-term) condition that often creates widespread pain in bones and connective tissues. An estimated 6-12 million people in the US have fibromyalgia, making it one of the more common causes of chronic pain. Fibromyalgia occurs more often in women than in men, and the risk of developing fibromyalgia appears to increase with age. You are also at increased risk if a family member has the condition or if you have osteoarthritis, rheumatoid arthritis, or lupus. People with fibromyalgia tend to have other conditions as well, such as chronic fatigue syndrome, depression, endometriosis, headaches, irritable bowel syndrome (IBS), post-traumatic stress disorder (PTSD), restless leg syndrome, and sleep apnea. While the exact cause of fibromyalgia is unknown, it seems to involve a combination of factors, such as genetics, physical and emotional stress, sleep quality, infection, and others. 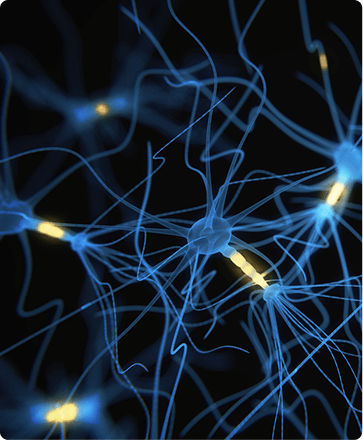 Some researchers believe that fibromyalgia may be related to central nervous system issues of the ascending and descending neural pain pathways, which carry signals to and from the brain. The hallmark symptom of fibromyalgia is pain and tender points throughout the body. These “hotspots” are known as trigger points. Pain may be deep, dull, shooting, or burning and range from minor to severe. Other symptoms may include fatigue, difficulty sleeping, memory and concentration problems, and mood issues. One of the most frustrating facets of fibromyalgia is the fact that it does not show up on most lab tests or X-rays. The diagnosis is therefore based on key symptoms. Common treatments for fibromyalgia include medications, physical therapy, occupational therapy, and counseling. Medications may include over-the-counter and prescription pain relievers; antidepressants such as Cymbalta® and Savella®; antiseizure drugs such as Lyrica®, which was the first drug approved by the FDA to treat fibromyalgia; and ketamine infusions. If you or someone you care for suffers from debilitating pain caused by fibromyalgia or any other chronic pain condition, we can help. We are experts in pain management. To schedule an appointment, please call Chicagoland Pain Management Institute in Bolingbrook, IL at (630) 312-4505 or in Hinsdale, IL at (630) 856-6825 or use our convenient online appointment request form.